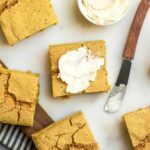 Whether you have it with Chili or top it with Jam or Butter, this Gluten Free & Vegan Cornbread is a wonderful healthy treat. Note: This recipe was originally published in 2017, but is now updated with better photos + a recipe update to make it even fluffier! I love cornbread. If my Thanksgiving table was only filled with fluffy, yellow squares, I honestly would be perfectly content. Heck, I’d be content with that any day of the year. Especially with this recipe, because it is so dang GOOD! 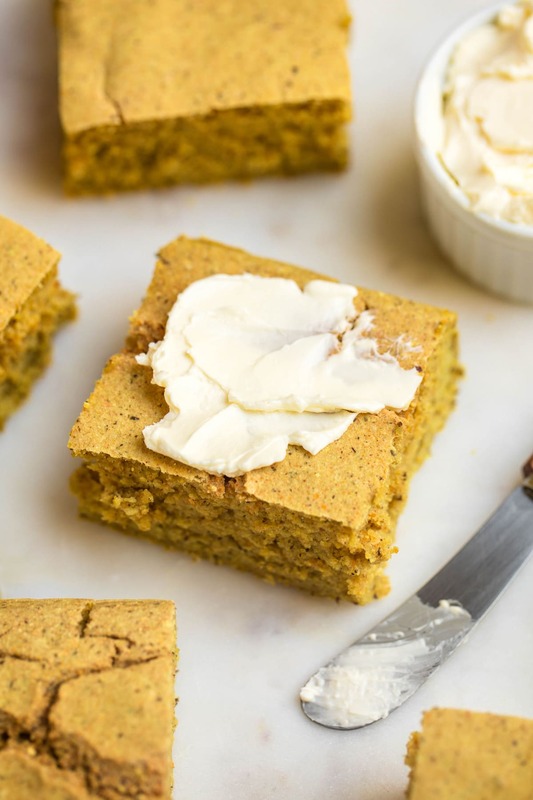 Not only is this cornbread delicious, but it’s actually good for you too. It’s made with 10 simple, plant-based ingredients that you probably already have in your pantry! It’s also free of refined sugars and oils…which is pretty rare in the realm of cornbread. Would you believe that White Beans are responsible for this pillowy, soft texture? Well, you better – after using beans in the dough for my Vegan Corn Empanadas, I knew I wanted to experiment with them further, and I’m so glad I did. They also add extra protein and fiber to this recipe, which is a win-win in my book! 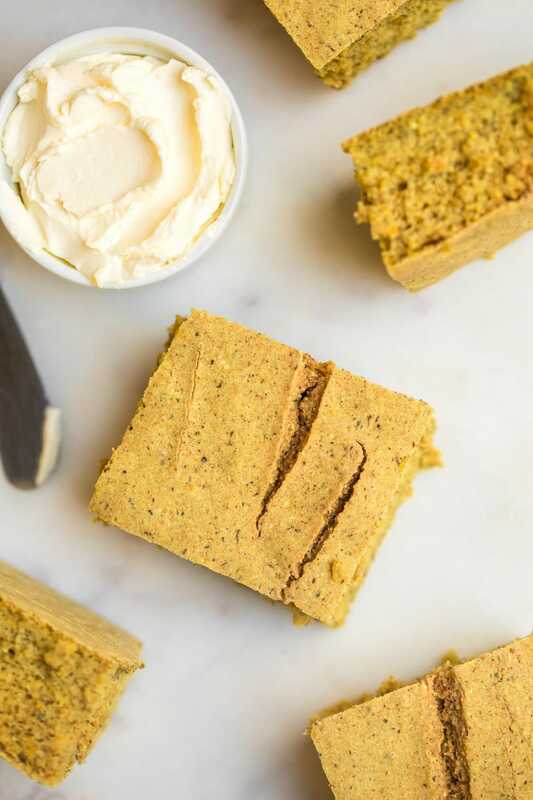 Whether you’re serving this Vegan Cornbread with a bowl of warm Chili, Stew, or smothering it in Jam or Vegan Butter, it’s sure to satisfy your cravings. When I first made this recipe, my family and I loved it so much that we ate it all and made another batch the very next day! I like a little texture in my cornbread, so I used a Medium Grind Cornmeal for this recipe. You can also use Finely Ground if you prefer yours to be smoother. Along those lines, I’d like to note that classic Cornbread recipes can vary significantly, depending where you are from. This version is fluffy, soft, and only subtly sweet. If you’d like yours to be sweeter, please see the recipe notes! Rinse and drain the canned White Beans, then add 1 cup of them to a blender with 2 tbsp of Water. Pour in the curdled Soy Milk, thickened Flax “egg”, and Maple Syrup. Blend for 30-60 seconds, until smooth. Add the Cornmeal, Flour Blend, Baking Powder, Baking Soda, Salt, and Turmeric to the blender; process until smooth. Use a spatula to evenly spread the batter around a greased or lined 9×9″ baking pan, and place in the oven for 27 – 30 minutes. Let cool at least 10 minutes before slicing, and store any leftovers in an airtight container at room temperature for up to 7 days. Ground Flax can be substituted with Ground Chia. I suggest using Soy Milk for this recipe, as it’s higher protein content allows for the milk to curdle and form a “buttermilk.” You can substitute with another Non-Dairy milk of your choosing, but the final bread will not be as fluffy. I used this Gluten Free Flour Blend for this recipe, and would only suggest the use of a GF blend. If you are not GF, you can substitute with All-Purpose Flour or Spelt Flour instead. 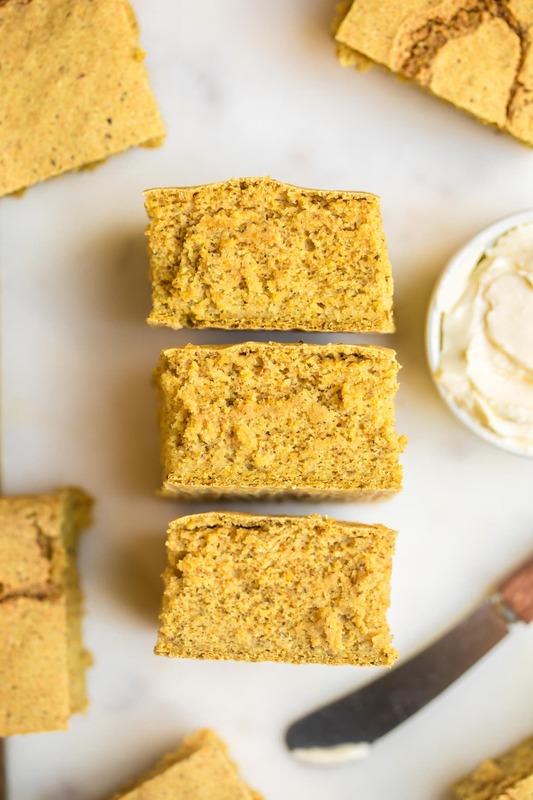 This Cornbread recipe is more savory than sweet; if you would like it to be sweeter, add an additional 2-4 tbsp of Maple Syrup to the wet ingredients. You may use any soft, white bean for this recipe. You could also use Pinto Beans or Black Beans, but I would not advise this as the final color of the Cornbread will look strange. Ally, I tested this recipe with GF flour, but Whole Wheat Pastry flour will work perfectly as well! Can I leave the maple syrup out? You can, but it does not make the cornbread sweet. I would still recommend that you use a little to help balance the flavors of the bread out. What would you suggest for plant milk? 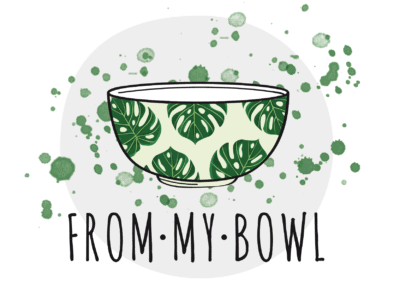 Hi Tenelle, I have made this recipe with both Soy Milk and Cashew Milk and got great results! I think you could use Almond Milk as well with no problem. Made a batch today and it turned out great! Just like you said, fluffy, a little bit moist and very delicious. Thank you for a great recipe. 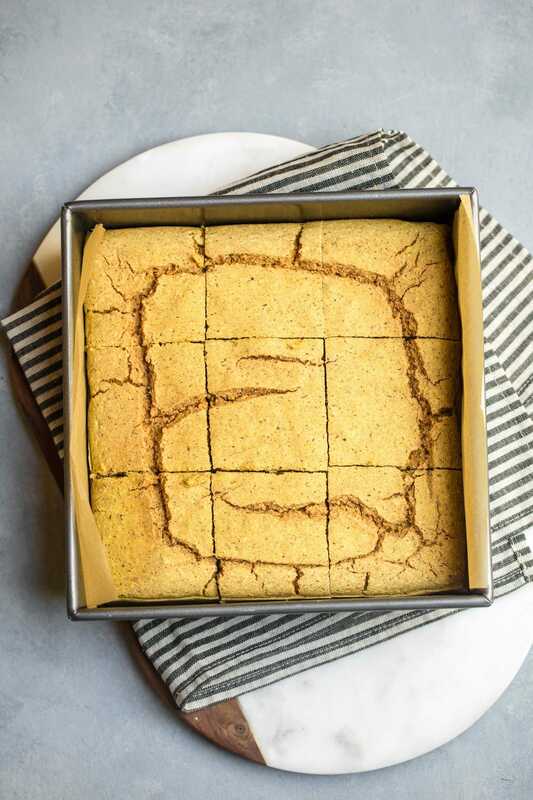 I’ve tried to bake a decent vegan cornbread before, using different (and way more complex!) recipes, but failed. This one is a winner. And so simple to make! Love! But can I substitute the flour for oat flour since that’s all I have in hand? Do you think it will work/ change the recipe? Thanks! Hi Elizabeth, I would not recommend oat flour for this recipe, as the bread will be very dense. A finely milled flour works best in this one! White beans in cornbread?! I actually think that they would totally work in this recipe! Have you tried this recipe with chickpeas? If so, would it work the same way? Hi Cassie! I would not recommend this recipe with chickpeas as they are not as soft as white beans and will not blend into a smooth paste as easily. Is whole ground flaxseed meal okay to use? I’m planning to make this for thanksgiving. Can’t wait to try it! The flaxseed must be ground into fine pieces – it can’t still be whole! Could I use spelt flour in place of the all-purpose flour? Hi again, one more question do I have to grind my chia seeds or can I use them whole? I would recommend ground chia seeds! Can you add corn kernels? If so, how many cups would you recommend so as not to change the final product too much? Thanks! I can’t have vinegar (or lemon as a sub), could I just leave it out and still get good results? Hi Bethan, I have listed all flour recommendations in the recipe notes; I would not recommend using Oat Flour. I would recommend spelt flour! Just made this recipe! So good! I had to use whole Chia seeds instead but it still turned out great! Thanks for this gluten free timeliness! 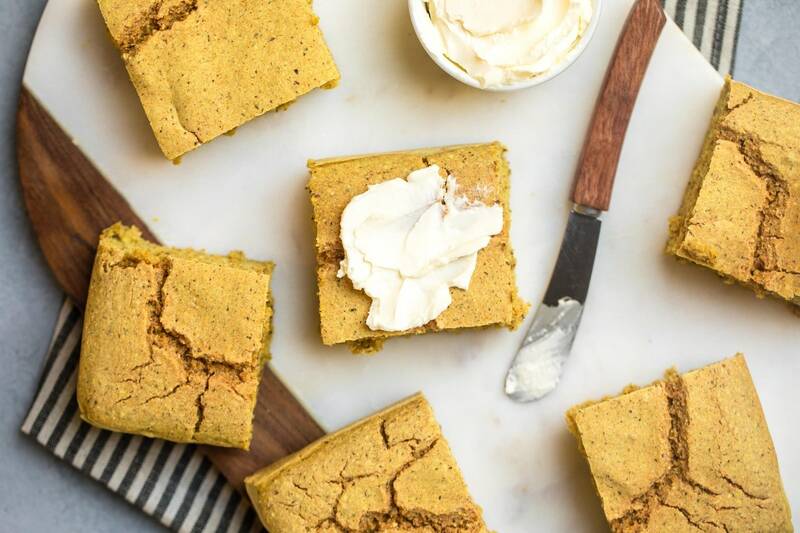 Just made these very good topped with melted butter and devoured it ?… I did used 4 tbsp of maple syrup since I wanted a sweet cornbread but it wasn’t sweet at all any suggestions? The bread will not have as much texture, but it should still work! excuse typing=== can’t see good. Thanks. I will try. Will let you know results. I followed the recipe but the bread is quite dense. What do you think went wrong? Did you use Gluten Free flour? I have found that regular flour makes the bread more dense. Do you think I could use a banana instead of flax seeds? This was pretty awesome cornbread, vegan or not! It was so moist and filling and the extra surprising fiber was great. We did use 6 tbs of maple syrup but that was still only 144 calories per serving. I took a pic but can’t figure out how to post it in the comments. Thanks for your recipe! I am trying to empty my pantry since I am moving soon. Found a bag of cornmeal so I figured I would make your corn bread since you mention making this quite often! I don’t have any GF flour left and don’t want to buy anything new since that would defeat the purpose. I am not that experienced with gf baking – do you think I could use buckwheat flour? Or chickpea flour? Is it worth a shot with any of those or should I just wait until after we move? Hm….it may work with Chickpea flour, but I’m not sure. Honestly I think a GF blend or regular AP flour would be best! So glad to have found this recipe /without any vegan butter or margarine or oil/! I could barely stop eating it! Soooo good :-)! I was initially annoyed that this didn’t make a batter, it was more like a dough so I added more water. After putting it in the oven I realised I’d missed out the cup of plant milk!!! Human error (and the glass of wine I drank while making it!). My bad, I’ll see how it turns out and make another batch tomorrow- following the recipe! Can this be baked in a laof pan? I made this recipe using whole wheat flour instead of gluten free flour, and it came out as more of a sticky dough, rather than a batter. Should I add more plant milk next time, or use less flour? Can I use ordinary flour in this recipe? Hi do you think I could use almond flour instead of all purpose flour? do I have to use the beans? I’m excited to try this. I wonder if silken tofu could be substituted for the white beans. Any thoughts? I will try it out both ways. Thanks for the recipe! I have been making this recipe regularly for the past few months and just realized that I had neglected to leave a comment thanking you for it! It’s amazing, especially when served with chili-style dishes! This recipe is a keeper! Just made it this afternoon to go with some soup I made and it’s subtle in sweetness (not sweet! ), easy, and moist! I was concerned about whipping it all into a blender, however, knowing muffins usually should be stirred until just until it comes together. So, I blitzed all of the ingredients, then stirred in the flours. I made mine into muffins with spelt and cornmeal – yum! I’ll get a second opinion from my brother tonight. Love that it doesn’t have oil or butter, high in fiber, and just a touch of sweetness. Thanks! Hi Caitlin. Can I use Masa Harina for this recipe? I don’t think supermarkets/brands in my country distinguish between the fineness of the cornflour, but Masa Harina is another type of cornflour so I wonder if that can be used. I made this bread and it turned out brilliantly! Lovely with sliced avocado on top and with smokey beans! Instead of the gluten free flour I used 1/2 cup brown rice flour, 1/4 cup quinoa flour and 1/4 corn starch – it turned out great with that combo. Thanks for this recipe, i’ll be returning to it again and again I have no doubt! 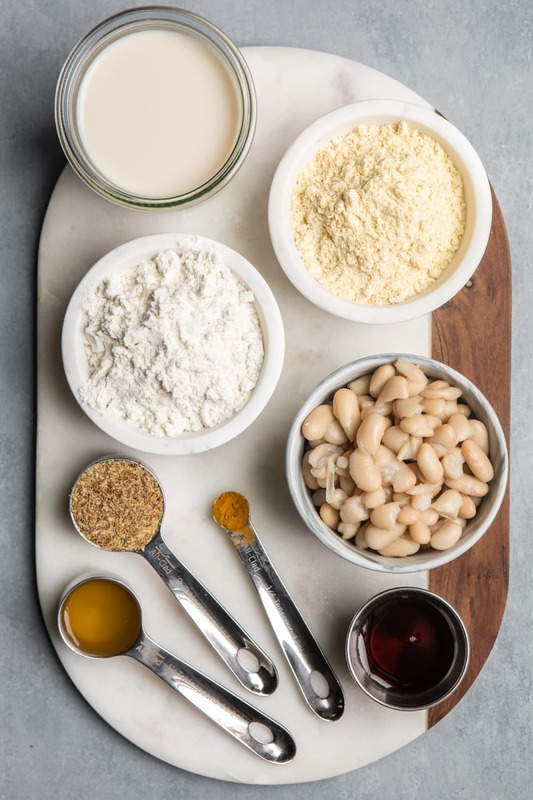 I was in the habit of using a cornbread mix and adapting the directions… adding pureed beans and root veggies rather than egg, vegetable oil and milk. However, I wanted a homemade version. Since I’m not very good at following directions, I eliminated the Maple Syrup and substituted pureed fruit/veg (beets, butternut squash, apples, etc.) and a small carton of coconut yogurt in place of the Plant Milk. I ground buckwheat, quinoa and millet for the flour blend. The result was a perfectly fluffy, nutritious muffin that I can enjoy post-workout (or any time I need a treat).